August 2015 - Archipelago International, the largest hotel management chain in Indonesia, recently secured an exclusive deal with PT. Telekomunikasi Indonesia (Telkom) to introduce a dramatically faster internet connection than what most businesses and hotels are use to - 100 Megabits per second over fiber optic cable. Most hotels in Indonesia have only around 5 to 10 Mbps on average for the entire hotel and it's often delivered with less reliable and higher latency wireless links. Telkom specifically sited choosing Archipelago International to begin this initiative with because of the large number of hotels Archipelago has all over Indonesia. Many guests may have experienced a strange phenomenon while staying in a hotel - the Internet speed is good for a while and then becomes almost unusable. There are a number of factors, which can contribute to this situation; however, the most common is that the hotel just doesn't have enough bandwidth to share among all its guests at the same time. With Archipelago's new service this should dramatically reduce the chances of this happening and thus allow hotel guests to easily and consistently stream YouTube videos for example - a feat which unfortunately so many hotels in Indonesia fail at. According to Jules Brookfield, Vice President of Technology at Archipelago International, they have identified a high quality internet experience at all their hotels a high priority. Not only are they now providing one of the most reliably fast Internet experiences at a hotel in Indonesia, but in nearly all their hotels WiFi is free! Beyond that they have also invested in high quality networking equipment, monitoring and security to ensure your internet experience is as best as it can be. Archipelago International says they also want to remove the frustration a lot of guests have when logging into their WiFi by removing needless annoying login screens and hoops so many businesses force their users to jump through just to connect. In regards to this initiative, Jules Brookfield is quoted saying "We're very excited to be able to so dramatically increase the total amount of bandwidth available to our hotels and thus to our guests. Nearly all of our hotel owners have expressed a strong desire to have their hotel connected at such a dramatically improved speed at such an attractive price point ASAP! We're also very pleased that we're able to offer this great deal all across the archipelago, not just Java/Bali/Sumatera but Kalimantan and Sulawesi and beyond where Internet speeds traditionally tend to be extremely expensive, slow and unreliable. Improvements like these give me great hope in the future of Indonesia and the hospitality industry here." Archipelago International which encompasses the brands: favehotel, NEO, Quest, Harper, Alana, Aston and Kamuela are working hard to get this great new internet connection out to all of their hotels as fast as possible, but given the extreme distances between hotels and existing contracts with other ISPs this will take a while. 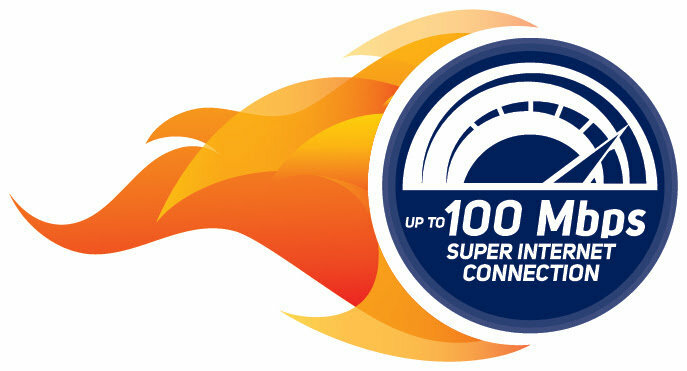 Nevertheless Archipelago already has 30 of their more than 100 hotels connected to this super fast Internet connection. Top tip - become an Archipelago International Rewards Member to get access to their Internet connection while at the hotel. Archipelago International brands include: favehotel, NEO, Quest, Harper, Aston Alana and Kamuela. Archipelago Internationalâ€™s properties range from ultra-luxurious villas with private pools to select-service, economy-class hotels to serviced-apartment residences, thus offering Indonesiaâ€™s largest and most comprehensive hospitality network.